Richard Branson, the billionaire founder of Virgin, shared a viable solution to saving the planet and the lives of millions of animals in a blog post. The statement followed another post by Branson, which predicted the food system will be meat-free within the next three decades. With his climate, health, and animal-conscious mind – Branson is the “proud investor” of Memphis Meats, a start-up company using cellular agriculture to grow meat in labs from derived animal stem cells. This method is a grey area in terms of vegan-friendliness, but as Branson makes readers aware – ‘clean meat’ eliminates the need to breed, raise and slaughter animals for traditional meat. Even Tyson Foods, the second-largest meat processor in the world, as well as Cargill and Bill Gates share Branson’s vision. The beef industry has admitted it is fearful of these investments towards a vegan future. With this funding, the growing clean meat industry is anticipated to overtake current agricultural meat production, and ultimately, become cheaper for consumers. Branson adds this modern type of meat is likely to have a “better calorie conversion” as well as use significantly less water and land. Clean meat is also considered to produce up to 90% less greenhouse gas emissions than conventional meat. Meat production is one of the largest contributing factors to climate change, even more than all the transport in the world combined. 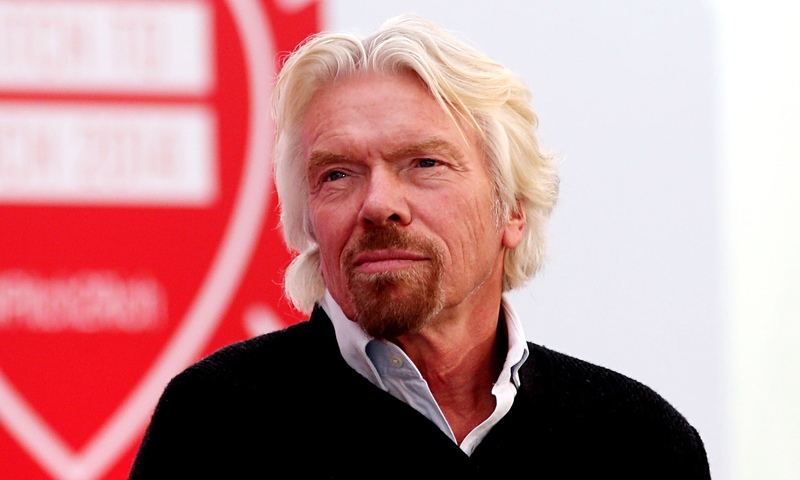 Richard Branson, the billionaire founder of Virgin and Memphis Meats investor, believes that plant-based and clean meat is the future of the food industry.